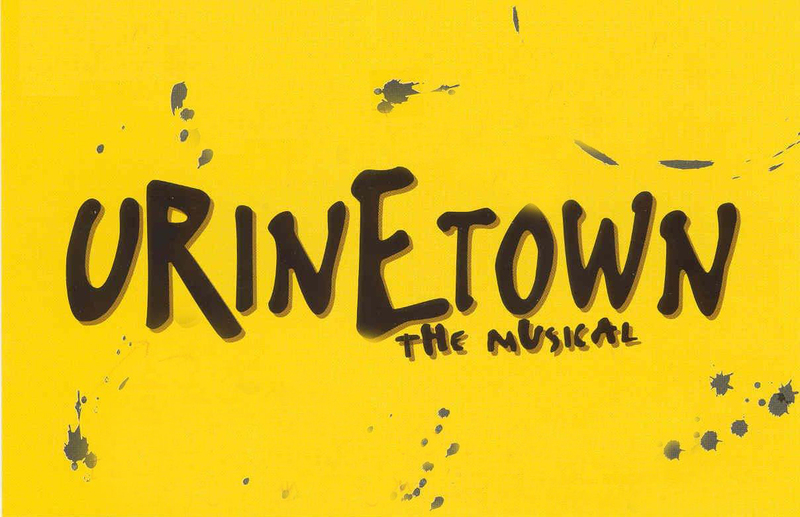 Urinetown: The Musical is a satirical musical comedy from 2001 that pokes fun at municipal politics, bureaucracy, social irresponsibility and corporate mismanagement. It also mocks beloved musicals like Les Miserables, The Cradle Will Rock, and even the Broadway musical itself. 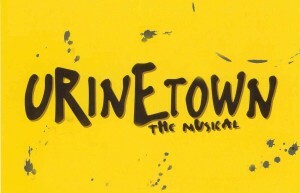 From the MTI website: “One of the most uproariously funny musicals in recent years, URINETOWN is a hilarious tale of greed, corruption, love, and revolution in a time when water is worth its weight in gold. In a Gotham-like city, a terrible water shortage, caused by a 20-year drought, has led to a government-enforced ban on private toilets. The citizens must use public amenities, regulated by a single malevolent company that profits by charging admission for one of humanity’s most basic needs. Amid the people, a hero decides he’s had enough, and plans a revolution to lead them all to freedom!